Rummenigge says the club is in no rush to enter talks about any deal but he hinted that the club would decide on the next move in the spring. “Franck and Arjen both have a big history here and we know what we have with them. Both are very important for us. But it is important how they will continue,” the club chairman said. Robben has been open to retirement for a while now but Ribery hinted that he wants to continue. The French star has won seven Bundesliga titles and one Champions League title since joining in 2007. Robben joined in 2009 and has one Bundesliga winners’ medal less than Ribery. The pair was crucial as Bayern cruised to the UCL title in 2012/13 but as they aged, their contributions diminished. Rummenigge says the club would bring back Serge Gnabry following his loan deal at Hoffenheim. He added that despite the injury the player is set to return and become integrated in the team. 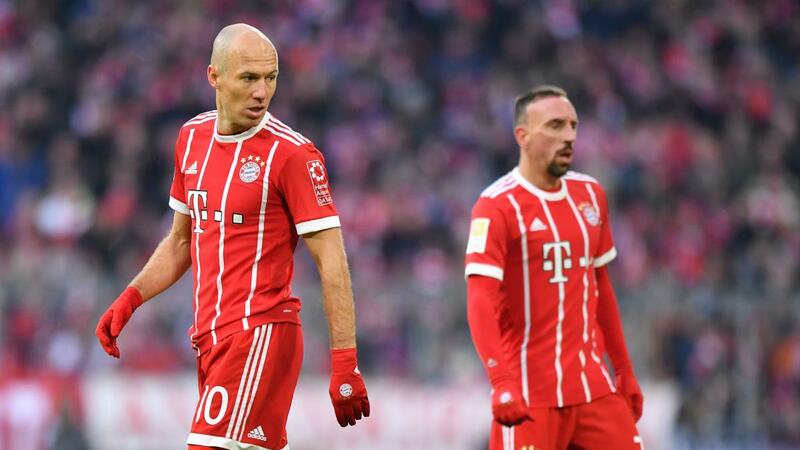 If Robben and Ribery remain for another year, their primary role would be to provide competition for the other wingers as Bayern gradually shifts away from them.